This is it! You’ve decided on a home improvement project, that linoleum flooring in your kitchen has seen its days; you are ready to remodel and bring your kitchen into the 21st century! Ceramic tiles, here you come. You enthusiastically share your ideas with a few friends, only to find out that your renovation project is becoming a little more complicated than you had planned. Some friends have thrown a curve into your plans and are suggesting porcelain tiles instead of ceramic. What to do? Each choice we make in life turns out for the best if it is an informed decision, so grab a cup of tea (or coffee), relax, and take a few minutes to read this little blog before embarking on your remodeling project. Ceramic and porcelain tiles are basically made the same way and will definitely enhance any room that is going through a home renovation; the difference is that porcelain tiles are made from finer and more refined clay, as well as being fired at a higher temperature. Because of these slight differences, porcelain tiles are denser; allowing them more resistance to wear and tear as well as being less likely to absorb moisture. 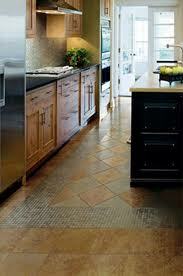 This makes porcelain tiles ideal for remodeling projects in certain areas of your home such as the patio or shower. Porcelain tiles have been around for quite a long time however, due to recent popularity, they can now be bought at a cheaper price,and there is much more variety to choose from. Have you been informed by some of your friends that porcelain tiles are “through-coloured”, therefore they are better than ceramic tiles? If a “through-coloured” tile is chipped, the colour beneath the surface will be the same colour as on the surface. A tile that is not “through-coloured” will not be exactly the same colour below the surface. Unglazed procelain tiles are “through-coloured, unfortunately, the majority of choices in size and colour of porcelain tiles that you will be looking at for your home makeover project are glazed, and therefore are not “through-coloured”. The choices of ceramic tiles in color, style and size is amazing and the price still beats the cost of porcelain tiles. If you have a set budget and have chosen colors for your home renovation project, and fall in love with a good ceramic tile that is priced right, then go for it! 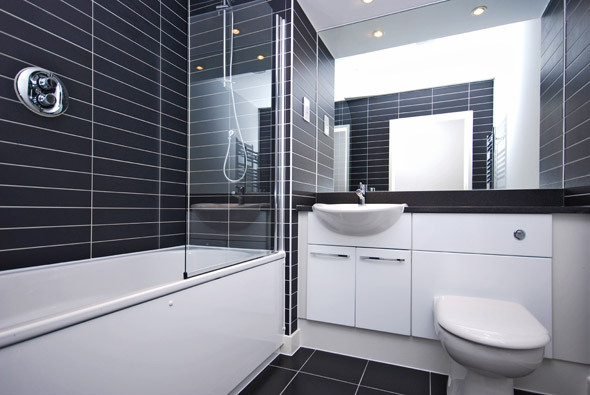 A good ceramic tile will withstand the wear and tear within a normal household for years to come. If you have a handyman in the family and you are doing your own home improvement, keep in mind that since ceramic tiles are not as dense as porcelain, they are easier to cut and install. Now, don’t go putting ceramic tiles outside on your newly renovated patio…doing this may be asking for trouble! Both ceramic and porcelain tiles are very durable and dropping the occasional glass, dish, or toy on the floor will not chip the tile….now, don’t go dropping cast iron pots or hammers! We have come to the end of this short blog…what tile should you choose for you home renovation project? 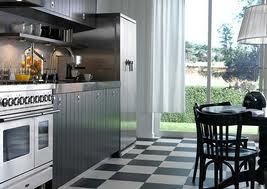 Well, I would say it doesn’t really matter; either ceramic or porcelain will do the job for that kitchen floor. Let your personal budget and taste be your guide!